On September 25, 2018 the handbag maker Michael Kors Holdings Limited signed an official agreement to purchase all of the outstanding shares of the Italian fashion house Gianni Versace SpA for a total EV of €1.83bn. The deal marks one of the first times an American company attempts to become a luxury fashion conglomerate and rival the European giants LVMH and Kering. After the takeover of London shoemaker Jimmy Choo, this acquisition represents an important milestone for the US Group as Versace will add more high-end couture credibility and heritage to Kors’ current product portfolio. On the other hand, Versace decision to be sold came with a perfect timing in order to allow the fashion house to reach its full potential and build on its momentum. Michael Kors is an American fashion luxury brand which was established over 35 years ago by designer Mr. Michael Kors. He organized his first runway show in 1984 and was able to gain lot of fans among celebrities. The initial success of the brand did not last long and in 1993 Kors filed for bankruptcy, due to both economic downturn and financial issues. The company was then restructured in 1997 when LVMH invested in it. In 2004, Kors left LVMH and decided to re-establish its own brand. Michael Kors Holdings Ltd was set up with majority investment of $100m from two private investors. At the same time, Kors launched the second line of merchandise “The MICHAEL by Michael Kors”, which focused strongly on women’s ready-to-wear apparel and accessories ranging from bags to footwear and watches. This way, Michael Kors positioned itself on the lower-end of the luxury market and gained global recognition thanks to the variety of its fashionable, yet reasonably priced, handbags. In 2011, on a wave of popularity, Michael Kors went public on the NYSE. The IPO was a big success and the share price jumped from the initial $20 to nearly $100 in 2014 as sales were growing at a double digit rate. Later, the company experienced some turmoil due to exaggerated discounting strategies, at the expense of profitability. In 2017, in order to move towards the higher end of the luxury market, the company engaged in the $1.35bn takeover of Jimmy Choo, a British luxury brand specializing in footwear. The Company also decided to reduce promotions and focus on the development of highly-priced merchandise. Consiquently, the company managed to improve its financial results. For the FY2018, ending in March 2018, Michael Kors realized revenues of $4.5bn and net income of about $592m which represents an increase of 7.1% with respect to $552.5m net income in FY2017. After the purchase of Versace, Michael Kors Holdings Limited is going to be renamed Capri Holdings Limited (NYSE:CPRI). In its press release Michael Kors stated that the name is inspired by the Italian island and the three rocks formation on the island which represents the core of the new company, namely its three brands: Michael Kors itself, Jimmy Choo and Versace. Founded in 1978 in Milan by Gianni Versace, Gianni Versace SpA is famous for carrying its medusa logo on all of its products. The brand was initially led by Mr. Versace, who became famous as the “rock n’ roll designer”, for serving notorious clients such as Elton John, Michael Jackson and the Princess of Wales. In 1997, the designer and manager of the firm, Gianni Versace was murdered by the serial killer Andrew Cunanan. That led to the appointment of Donatella Versace, Gianni’s wife, as artistic director and Santo Versace, her brother, as CEO. The operations of the firm are split into several sub-brands: Atelier Versace (deals with the most prestigious products), Versace Home Collection, Versus (produces clothing and accessories to a younger public), and Versace Jeans (a line of perfumes). The company in also present in the hospitality sector, with two operational hotels named Palazzo Versace in Australia and Dubai, and one being built in Macau. In February 2014, Blackstone acquired a 20% stake in the company for €210m, valuing the company at €1.05bn. In 2017, Versace suffered a €8m loss in spite of a 4.6% increase in revenues. The luxury industry in which these two players operate can be divided into two main categories: experiential luxury and personal growth. The first category accounts for services such as hotels & exclusive vacations and food & wine, while the second comprises segments like accessories, watches, clothes, and jewelry. According to a recent report by BCG, the total size of the luxury market reaches $913bn, the two main components being hotels & exclusive vacations ($455 bn) and watches & jewelry ($126bn). It is also important to note that recently few car companies have started to be classified within the industry. Ferrari was a pioneer with its successful IPO in 2015 and is now being followed by Aston Martin. The car luxury market would add another $489bn to the size of the industry. In the past decades, luxury brands fostered consumer spending by aggressively expanding into emerging markets. The sector saw a great increase in the number of physical stores in Asia, concentrated mainly in China, which allowed for a rapid growth in consumer spending on the sector. Indeed, between 1996 and 2001, expenditures with luxury goods and services increased by 9%. More recently, China played a big role in the industry’s growth, thanks to a digitally mature society with an increasing demand for online luxury. Another important trend is the shift from personal to experiential goods and services. This is attributed to the rise of millennials as the new major consumer group for luxury brands, since this generation’s preferences are concentrated towards experiences. In 2017, indeed, the main driver of growth in the industry was hotels & exclusive vacations segment, which grew by 9.5%. However, as the economic growth in developing nations is flattening, luxury brands are having difficulties in sustaining growth. From 2015 to 2022 consumer expenditures with luxury goods and services are expected to grow by only 3%. Indeed, the strategy of opening new shops has already been abandoned by many firms, which now focus on being more cost effective in emerging markets. In this scenario, the digital transformation arises as both the solution and the challenge to luxury brands. On the one hand it allows brands to reach new customers and to engage consumers emotionally through a tailored purchase experience, on the other hand, it creates a clash of values between the exclusivity promoted by luxury brands and the openness of the digital world. Being it a challenge or not, incumbents will have to adapt as 58% of the sales are already digitally influenced. Moreover, adopting this new trend early on seems to pay off, as in the famous case of Burberry which managed to increase revenues by 239% in the span of nine years. Despite the concerns regarding expansion, the expectations for the industry remain positive. For instance, the market size of luxury companies anticipates an increase of $213bn by 2024, reaching $1,126bn. 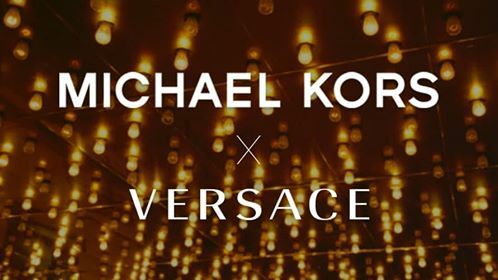 Michael Kors Holdings Limited signed on 25th September an agreement to purchase all of the outstanding shares of the Italian Gianni Versace S.p.A., including Blackstone Group’s 20% stake in Versace, for a total EV of €1.83bn ($2.12bn). The transaction will occur at a 2.5x revenue multiple and 22x EBITDA multiple. Differently from what usually happens, the transaction is not subject to financing conditions. The form of consideration of the transaction is that of a mix between cash (primarily) and equity. The cash portion of the purchase price is expected to be financed with a combination of cash on hands, drawings from an already existing RCF, and a committed underwritten bank loan subscribed by JPMorgan Chase Bank, N.A. and Barclay. The equity portion instead implies the Versace family receiving €150m of the purchase price in shares of Capri Holdings Limited. Indeed, after completion of the deal, Michael Kors Holdings Limited will be rebranded as Capri Holdings Limited. The Versace family (Donatella with her brother Santo and daughter Allegra) will continue to be shareholder of the combined entity with a €150m equity stake and its brand’s chief executive, Jonathan Akeroyd, will remain in his position. The newly created Capri Holdings Limited, including Versace, Jimmy Choo and Michael Kors, is expected to have proforma sales of $6.0bn with 1,238 stores. According to Michael Kors’s investor presentation, the acquisition is expected to be dilutive to earnings per share in the high-single digits in FY2020, accretive in the low-single digits in FY2021, and accretive in the high-single digits in FY2022. The transaction is expected to close in 2019Q4 subject to specified closing conditions and to receiving the required regulatory approvals. For Michael Kors the acquisition of Versace is a strategic move towards a transformation into a conglomerate of luxury brands. It is an attempt to create a US-rival to European conglomerates such as LVMH (home of Bulgari, Dior, Givenchy and many others) and Kering (owner of Balenciaga, Gucci and Saint Laurent). Moreover, Kors is attempting to escape from its image of a sporty and affordable brand and build on a more iconic reputation, as testified by the two very exclusive brands it has acquired over the past two years. The new Holding is expected to create operational synergies and estimates that the purchase of Versace will contribute to the growth of the group’s revenues up to $8.0bn in the long-term. In view of Kors, Versace’s potential is not being fully exploited yet and the brand is highly underdeveloped, especially in comparison with other Italian brands which are selling in billions of dollars. The plan is to build on Versace’s momentum and to more than double the sales. Kors is intending to boost Versace’s sales to $2bn from todays’ $850m. The strategy of Kors includes expansion in Asia, opening new stores (from 200 to 300 stores globally over the next 5 years), enhancement of Versace’s marketing, and acceleration of the e-commerce development. Moreover, the company intends to work on the growth of revenues from accessories and footwear of Versace. Nowadays, accessories constitute 35% of the revenues, but Kors aims at reaching 60% of revenues over the long term. Versace was one of the last big Italian brands that remained independent, and over past years was approached by many potential buyers. Considering that the fashion market is at its peak as most of luxurious brands are consolidating in big portfolios of fashion conglomerates, the decision of Versace to sell was perfectly timed. For its minority shareholder, Blackstone, it is also a reasonable way to exit. Blackstone acquired 20% stake in 2014 in order to fund Versace’s expansion abroad, boost its revenues and eventually prepare the company for IPO. This strategy, however, failed and Blackstone ultimately refused the IPO, stating that markets conditions were not too favorable. Finally, it is important to notice that Donatella Versace and her family are becoming shareholders of new company which may signal their belief in the long-term success of Versace as part of the newly created conglomerate. On the other hand, the senior management and design team of Versace will remain unchanged as Michael Kors wants to ensure that the brands have their autonomy and remain completely independent from each other. Even though Michael Kors perceives the deal as a very promising step towards an increase of its market share and a boost of its revenues, the transaction was negatively perceived both by investors and dedicated fans of Versace brand. On the day of the announcement, shares of Michael Kors plummeted by nearly a tenth, which equated to a loss of nearly $1bn of market cap. From the shareholders’ perspective, entering in such an expensive transaction just after the brand had experienced financial struggles was not a wise decision. Furthermore, stakeholders fear that such a luxurious brand as Versace might lose a lot of its exclusive aura when acquired by Kors who is still a premium brand, but sells cheaper products. Fans of the Italian brand seemed to be disturbed as well and there was plenty of posts on social media trying to convince Versace not to accept the merge. Moreover, Versace was also criticized by Italian press for not choosing and Italian company to sell itself to. Donatella Versace responded that Versace, although approached by many companies, had not received any offer from an Italian bidder. Goldman Sachs acts as sole financial advisor for Versace, while Blackstone is advised by Lazard. JP Morgan and Barclays instead provided financial advisory to Michael Kors.